Sometimes grocery shopping can feel like the game show Let’s Make a Deal–especially when it comes to choosing the most nutritious fresh fruits. Since they rarely come with nutrition labels, it’s like trying to select the best prize from behind door number 1, 2, or 3. How are you supposed to decide which option is the best without knowing what’s inside? 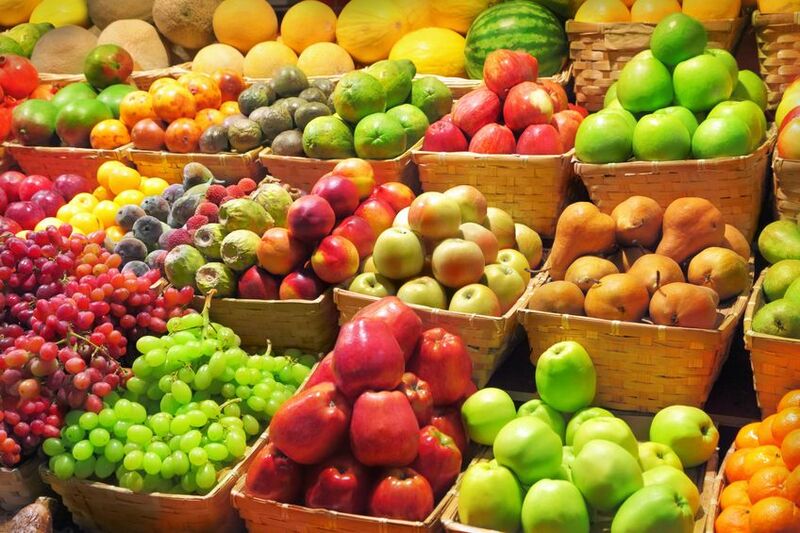 Luckily, with a little research and fancy math, (combining USDA cost data and Aggregate Nutrient Density Index (ANDI) ratings) you can pick the most nutritious fruits for your grocery dollar. Watermelon – Provides vitamins C and A plus the antioxidant lycopene. Plums – A good source of fiber as well as vitamins C and A.
Oranges – Chock full of natural antioxidant flavonoids and vitamin C.
Apples – Provide fiber and beneficial compounds like quercetin. Strawberries – Naturally loaded with potassium, vitamin C, folate, flavonoids and fiber. Cantaloupe – These melons contain important minerals like potassium, iron, calcium as well as vitamins A and C.
Grapefruit – Contains vitamins A and C as well as potassium and folate. Bananas – A favorite of athletes everywhere, bananas provide vitamin B6, fiber and potassium. Tomatoes – Packed with the antioxidants beta-carotene and lycopene. Kiwi – These little gems contain vitamin C and K plus potassium.